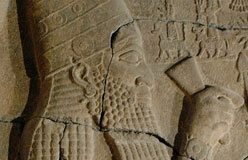 When Babylon fell to the Persian king Cyrus in 539 B.C., Mesopotamia’s glory days came to an end. 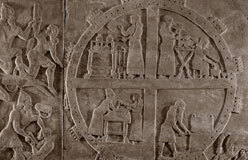 As the centuries passed, people remembered less and less of Mesopotamia’s achievements. Once-glorious cities were buried in the sands. 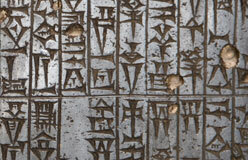 Other types of writing replaced cuneiform. 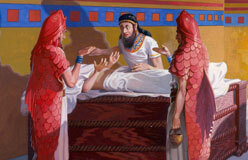 Ancient Greek history texts and the Old Testament kept alive an awareness of Assyria and Babylon. But Sumer had died out long before these later civilizations. It was completely forgotten. 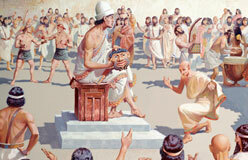 The Persian rulers were followed by the Greeks, the Arabs, and the Turks. When Britain defeated Turkey in World War I, the land became part of the British Empire. It was given the new name of Iraq. The Arab natives of Iraq fought for independence and won it in 1932. 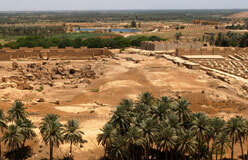 More than a century before that, scholars and adventurers had begun to rediscover Mesopotamia.